Here’s the basic information about how our program works. The program operates three sessions, each 10 to 15 weeks long. The sign up forms for our sessions is available to download and print here. Tuesday evening (4-8pm), Thursday evening (4-8pm), and Friday morning (8-am-noon) riding times are available. With practices starting on Saturday mornings in February, a separate Special Olympics equestrian program works toward a local competition in April. Select riders from this group also attend the Special Olympics of Pennsylvania Annual Summer Games held in State College in early June! During the warmer months, the riders enjoy the wonderful trails through the wooded area around the farm. All our riders enjoy the fish pond along one of these trails. In the arena, a variety of fun therapeutic activities are used to accomplish the goals recommended by the therapist. 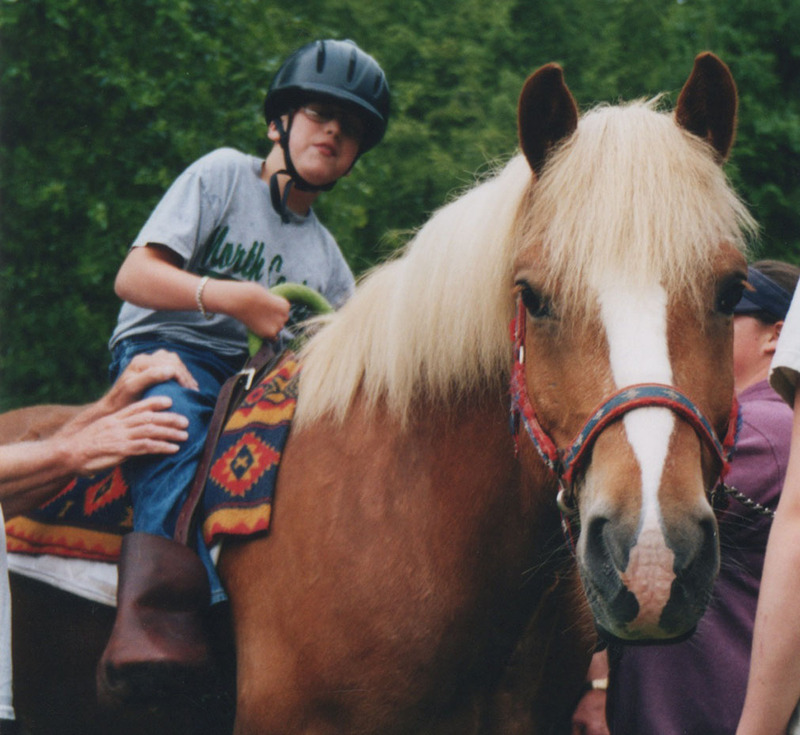 Each rider is evaluated by a trained and experienced therapist. 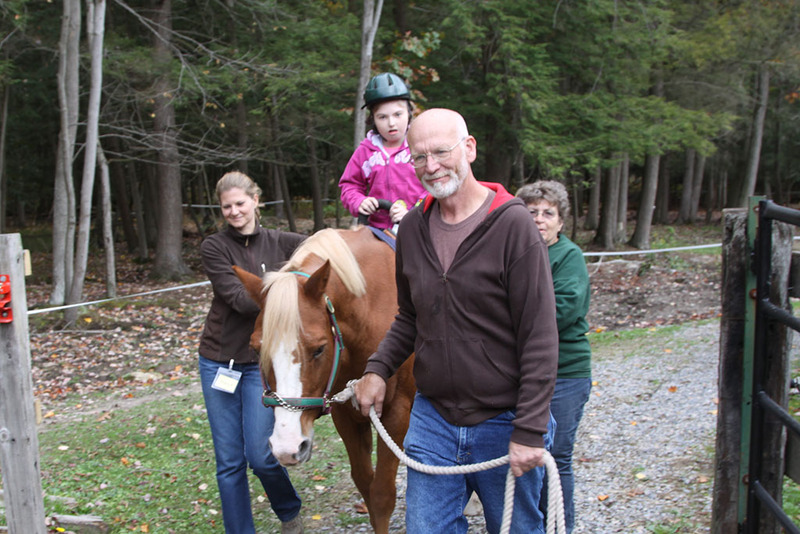 SunnyBrook is equipped with a lift to assist non-ambulatory riders onto the horse.